We are a veteran-owned and operated business with 20+ years of experience working with your heating and cooling systems. That means we know how important it is to help maintain your systems and keep your cool. 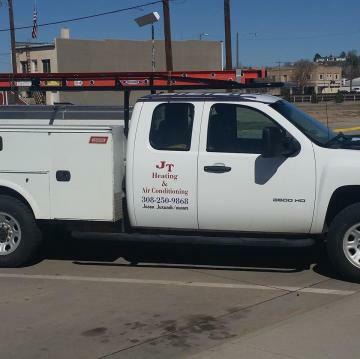 With trained technicians and years of experience serving the Sidney, NE community, we provide efficient service repair to residential and commercial locations. With affordable rates, friendly service, and a priority on safety and efficiency - we are the best choice for HVAC solutions in our community! Need a new system? We've got you covered! What about maintenance? No problem. Our mission is to provide you with fast service along with quality equipment and highly trained technicians. Let us get you back to normal - back to comfortable. Don't sweat it! We can take care of diagnosing, repairing, maintaining, and installing your HVAC system and take the hassle out of the process for you. Don't wait. Contact us today to get started. We are available after-hours and on weekends as needed for emergencies.